I booked a transfer from the airport. Where do i meet my driver ? Once you have collected your luggage and cleared custom head to the information desk of your terminal.This is where you will meet you driver.He will be holding a sign with the name . It normally takes 40 minutes from the moment your flight touches ground that you phisically meet you driver . So if it you notice it is taking longer, please call Us at : 0039 3923697230 Or ask the custom police officer to let you come out for a second to tell your driver you'll be late. If the driver does not hear from you he might not wait longer than one hour. After 1 hour extra time will be charged. Please remember that the driver is not allowed in the baggage claim area. If you miss your flight or your flight was cancelled, please let us know it in advance. If we do not hear from you , you will be charged for the full amount of your transfer. Tipping is not included in our service fees. It is never mandatory although it is always appreciated.Standard tipping in Italy ranges between 10 and 15 % ,but it depends always on your satisfaction about the service . Will be charged if our Ship does not Dock ? Absolutely not. However, our services will be automatically rescheduled for when your Cruise arrives at the Sea Port Charges only apply for cancellations given without a business week notice. What is the difference between Driver Guide and Tour Guide ? For those of you who are booking private tours for the first time, perhaps a little clarification would help. A tour driver and a tour guide are not the same. 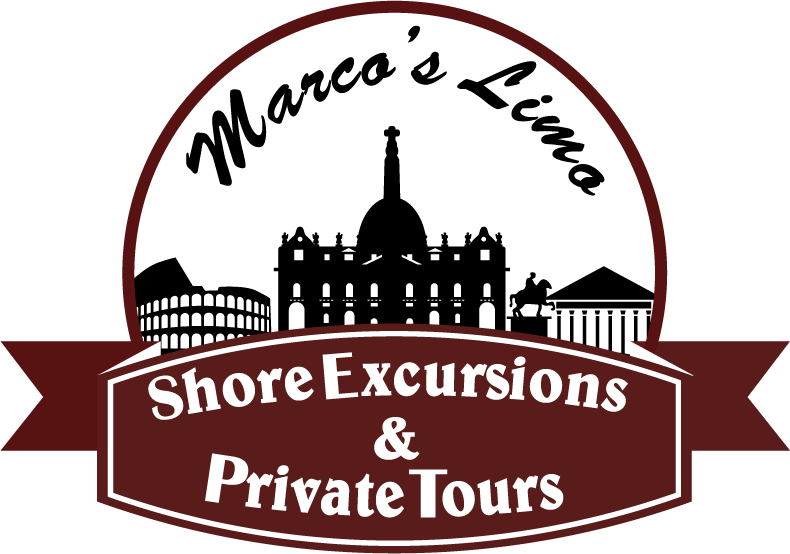 It is to your advantage when booking a private tour to be sure that you understand the difference and know in advance what you are paying for. A tour guide has a license, usually issued by the state / country. He or she has attended school to learn all about the sites you will see. A guide is permitted to go into the historical sites with you and tell you about the history. Naturally, their services will cost more. A tour driver is not licensed, has not attended "guide" school, and is not permitted inside the site to tell you about the history. Naturally, their services will be more economical. Many drivers are just as well versed in the area history as the guides. The difference of course is that they have to tell you the facts before you go inside. Your driver guide or tour guide will always be waiting for you with a sign. If your are coming from a CRUISE SHIP we will be waiting where your ship docks, with a sign of the family or parties name. If you are coming from the AIRPORT we will be waiting for you directly after Custom Area,with a sign of the family or parties name. If you are coming from the HOTEL we will be waiting for you directly in the lobby of your Hotel.Your guide will always be holding a sign entitled Marco Limos.